Do you currently subscribe to the Soltys, Inc. blog and/or newsletter? Please list the top 3 items you'd like to see addressed during the roundtable. This roundtable is for brokers, owners and the executive teams leading companies. 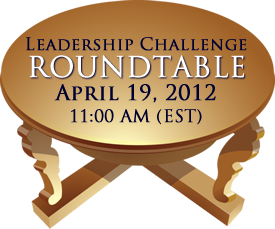 Challenge topics selected for discussion will be applicable to executive and company leadership. Roundtable attendance is capped at 14 attendees. We accept reservation requests on a first come, first served basis. Roundtable sessions last 1 hour. In order to effectively take part in the roundtable you must have a web cam (computer video camera) and access to a phone. All respondents will receive a confirmation email. Round table participants will receive a confirmed seat and additional information to enter the meeting room by email.